Longtime fans of pro basketball remember the “Jordan rules.” The term described a strategy designed to limit the game’s most powerful player. 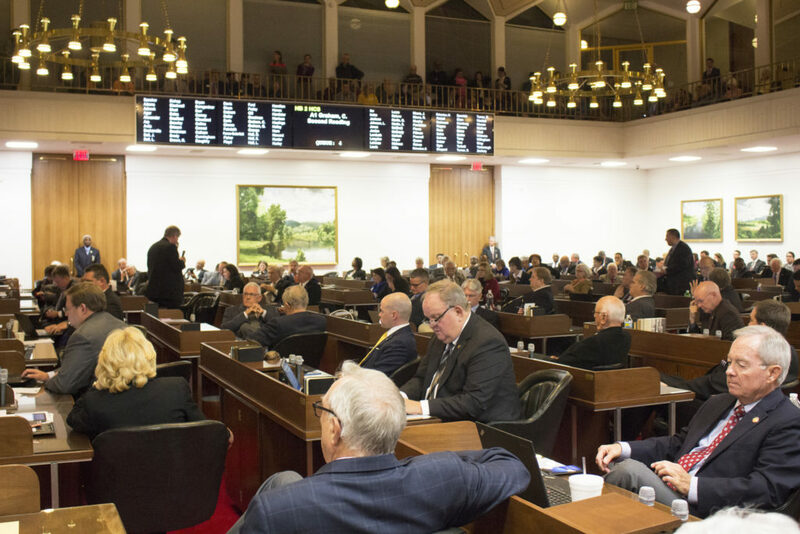 Now N.C. legislators have an opportunity to enact their own “Jordan rules.” In this case, the goal would be to harness the state’s most powerful legislators. Basketball’s Jordan rules took their name from Michael Jordan, the Wilmington star who earned national player of the year honors at UNC-Chapel Hill before turning pro. Jordan then led the Chicago Bulls to six National Basketball Association championships in the 1990s. As Jordan began to dominate the pro game, opponents searched for ways to contain him. The rival Detroit Pistons devised a physically tough style that took on the name the “Jordan rules.” That term even ended up as the title of a book about the Bulls’ 1990-91 championship season. Unlike the Pistons, state legislators wouldn’t need to slap, push, poke, punch, or trip anyone to enact their own Jordan rules. Instead they could listen to another Tar Heel named Jordan. That’s Jonathan Jordan. He left the N.C. House of Representatives at the end of the year after losing his re-election bid. Jordan, a Republican, had represented Watauga and Ashe counties for four terms in Raleigh. In a profile piece that ran in the Ashe Post and Times shortly before he left office, Jordan pointed to one particular low point from his legislative career. A legislator who “runs” a bill is overseeing its progress. He shepherds the bill through committees and works to ensure it has enough votes to clear his legislative chamber. While a single bill targeting rules for abortion and motorcycle helmets proved unusual, it has not been uncommon for legislative leaders in both parties to make other questionable combinations over the years. The situation arises when powerful lawmakers want quick action on a bill. It’s most likely to happen when an issue surfaces relatively late in a legislative session. Especially when the issue crops up after the General Assembly’s self-imposed bill-filing deadline. The deadline applies to rank-and-file legislators. For the most powerful, the rules prove less restrictive. They hold the power to gut an existing bill and replace its contents with their own ideas. These unusual two-headed bills still need to win votes from a majority of both the House and Senate to become law. In most cases, they need to survive scrutiny from the governor’s office as well. But the process evades legislative transparency. Unless you’re a lobbyist or activist paying close attention to legislative business, it’s difficult to track a bill. Is it in the state House? The Senate? A committee? Which committee? What if multiple bills target the same topic? There’s no reason to preserve the status quo. Members of the House and Senate can take steps to block their leaders from creating another “motorcycle abortion bill” in the future. They could craft official legislative rules that end the so-called “gut-and-amend” tactic. It generates confusion and criticism. Without formal action, rank-and-file legislators still could say, “No, sir. We’re not doing that.” If they take that course, the N.C. General Assembly would have its own Jordan rules. Mitch Kokai is senior political analyst for the John Locke Foundation.